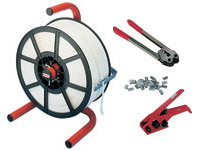 What is the purpose of the Mobile Strapping Dispenser Complete Kit? 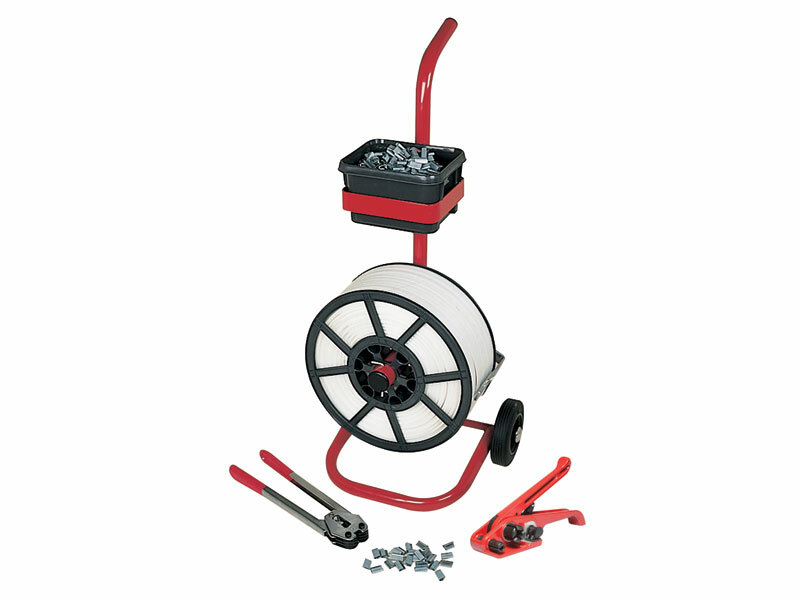 For efficiency and cost effectiveness, this complete Mobile Strapping Dispenser Kit includes five different parts that allows maneuvering equipment and machinery to become easier, including: the mobile trolley, strapping, sealer, metal seals and cutter. In order to keep your products and materials from getting damaged when they are being moved around, this specific kit is designed to strap in and secure predominantly large and heavy objects that cannot be moved manually. This strapping tool kit can be used in the warehouse when aiming for ease of use through being able to complete the strapping process in a straightforward manner, having followed the specific instructions. 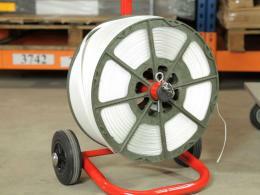 The strapping does not corrode and can be re-tailored to suit the size of the product(s) that are being moved. What’s more, the mobile trolley allows for extensive access and works just as well on carpeted or hardware floors. 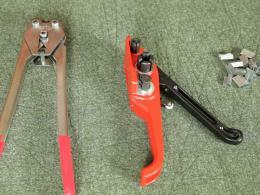 The Mobile Strapping Dispenser Complete Kit should be used by members of staff who are directly involved within the warehouse and are aware of how to use each piece of equipment, however the kit can also be used by those who have studied the video demonstration to ensure the tools provided are used effectively. The strapping within the kit can be purchased from a choice of different materials, including: steel, polyester or polypropylene, which can also be colour co-ordinated according to the strength of the strapping required. This product also comes with a 1 year parts/labour warranty.